After the successful selling of Residential Plots and Independent Floors, Office Space , SCO Plots in New Chandigarh Mullanpur, Omaxe Going to present another opportunity for you by introducing Omaxe Group Housing Flats, Which is the High Rise multi-storey Apartments. Very Near to Omaxe Commercial hub of 140 Acre. and Commercial Tower of India Trade Tower and International Trade Tower, and Holiday Inn Five Star Hotel. These High-rise Apartment Flats having the option of 2 BHK, 3 BHK and 4BHK Apartments, which are very affordable flats in this region of new Chandigarh. Ø 2BHK area approx 1300 sq ft.
Ø 3BHK(option-1) area approx 1500 to1600 sq ft.
Ø 3BHK(option-2) area approx 1800 sq ft.
Ø 3BHK+SR area approx 2200 sq ft.
Ø 4BHK+SR & Penthouse area will be approx 3200 sq ft to 3500 Sq. Ft.
Ø Tentative Price: 4000/- per Sq. Ft. Within 60 days customer has to complete 20% of BSP including booking amount. Balance 80% in construction linked. Bank Loan will be available from multiple banks on start of construction. Total Group Housing in approx 35 Acres (Gated) starting from 17 stories upto 23 stories. More than 80% area green with only 1 circular road and total basement parking. · 1st Entry from extension of Madhya Marg express road. · 2nd Entry from existing sector road which leads to phase 1 of omaxe on Anandpur Sahib Express road. · 3rd entry on sector road which starts from omaxe and further divides eco city and dlf. · 4-Kms From Chandigarh Boundary on Baddi Road. Five Giant Parks (One 8-Acre and rest half an Acre each), Musical Fountain, 5-Star Luxury Club, Tree-lined avenues, surrounded by 30 Kms of reserved greens, perfect connectivity and to enjoy all this, a tastefully Designed Apartments. And when you have it all amidst more than 500 Acres Township Omaxe New Chandigarh, the posh neighborhood of dream city Chandigarh, it sounds too good to be true. Take Luxury for granted and the price will take you for surprise. This Eco Township gives you a dream lifestyle with all the goodness of Chandigarh and a lot more in its own neighborhood. Disclaimer:- Any content mentioned in the mail is for information purpose only and does not constitute any offer or guarantee whatsoever on the content mentioned above. Prices are subject to change without notice. It is solely your responsibility to evaluate the accuracy, completeness and usefulness of all opinions, advice, services, merchandise and other information provided and you are strongly advised to check these independently. 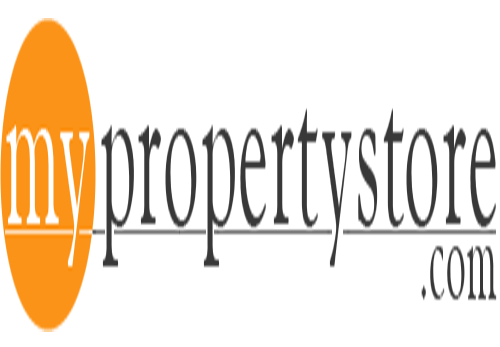 www.myproeprtystore.com shall not be liable for any deficiency in service by the builders/developers/sellers/property agents.